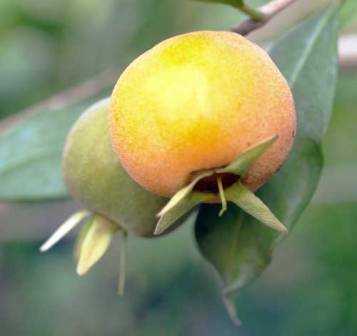 Synonyms: Eugenia lucescens, Phyllocalyx luschnathium. 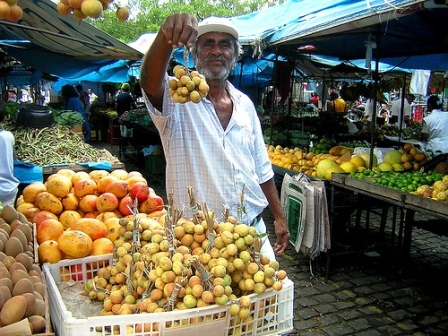 Pitomba fruits being sold in Brazil. 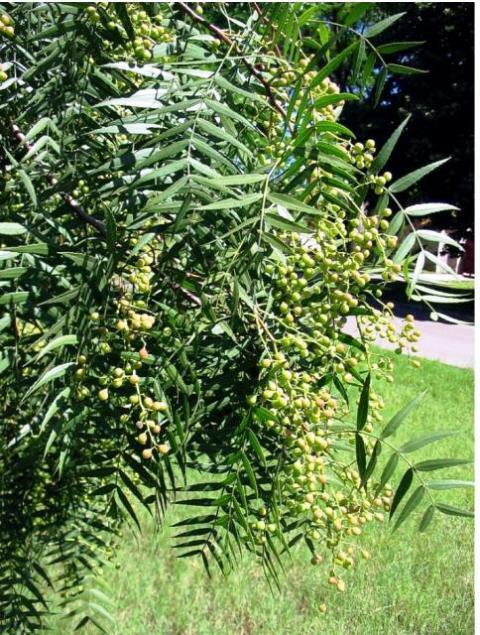 Pitomba is a small, spreading evergreen tree or shrub which may attain a height of 25 to 30 feet. It is a native of Brazil. The tree has a compact growth habit with dense foliage and is quite attractive, especially when in fruit. The leathery leaves are elliptical lanceolate, about 3 inches long and are a glossy deep green color on the upper surface and light green below. The white flowers which are up to 1 inch across, are quite showy. The flowering takes place from April to June in Florida, USA. The fruit is broadly obovoid, about an inch long, with the apex crowned by 4 or 5 green sepals, about ½ inch long. The thin skin is a bright orange yellow. 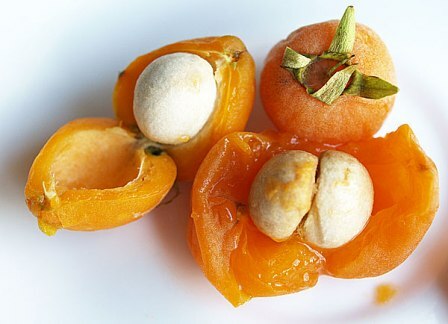 The soft, melting, juicy flesh is orange in color and aromatic, sweet to subacid in flavor. The fruit contains 1 to several seeds attached to one side of the seed cavity. The fruit matures from May to June and sometimes there is a light crop in the fall. A pitomba tree can be propagated by seed. 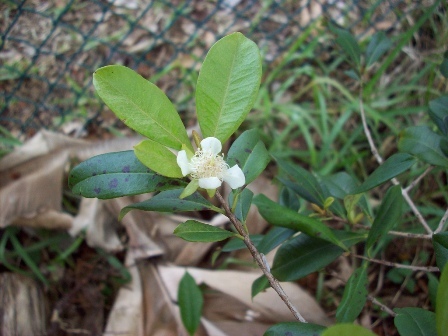 The plant usually begins fruiting in about the fourth year after planting.